SAPS Wierda Bridge, Lyttelton & Erasmia, the operational side of the Area Commissioner Pretoria, the Department of Home Affairs, together with a Provincial Task Team and members of Private security companies (ADT, Cop Watch, Chubb and Noordvaal) raided several identified sites as part of a high visibility crime prevention action in the Centurion area (including Wierdapark, Eldoraigne, Rooihuiskraal, The Reeds, Highveld as well as the Centurion CBD area). The department of Home Affairs assisted with the identifying of illegal immigrants and the legal department of the SAPS advised operational members on the charging of certain contractors in terms of the contravention of the Immigration Act, Act 13 / 2002, Section 38, employing an illegal immigrant. 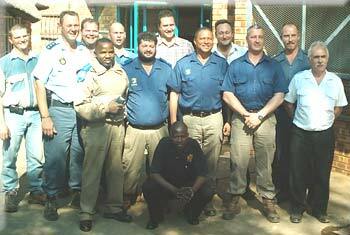 One contractor was fined R48 000 (fourty-eight thousand rand) for having 32 illegal immigrants in his service). * 3 - other arrests (drunk / drinking in public). * 20 fines - in terms of the Road Traffic Act were issued by the Tshwane Metro Police Department. Private security companies assisted the law enforcers in high-visibility actions and members of ADT, Cop Watch, Chubb and Noordvaal, enthusiastically showed their commitment towards crime prevention in the Centurion area. 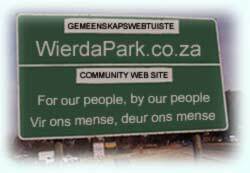 Several suburbs of Centurion were targeted for the purpose of the operation, (including Wierdapark, Eldoraigne, Rooihuiskraal, The Reeds, Highveld as well as the Centurion CBD area) - which included the area of the Wierda 2 Community Forum. Members of SAPS, Tshwane Metro Police (Region 8 and Special Operations), Dept Home Affairs, Security Companies from Centurion Security Forum, Cop Watch, ADT. (A Chubb-member was not present). 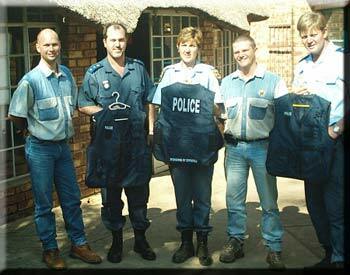 Copwatch, a well known security company in Centurion, handing over " battlejackets" to officers of the SAPS in recognition of sevices rendered during a large scale operation in the Centurion area. Sweep actions were executed in the Wierdapark, Eldoraigne, Rooihuiskraal, The Reeds, Highveld as well as Centurion CBD areas. These actions led to 177 illegal immigrants being arrested as well as several other offences being adressed.